Whether you are informally caring for a loved one, serving as an official guardian, or planning for the ultimate disposition of your own assets, you should consider selling your oil, gas or mineral interests to Russell T. Rudy Energy, LLC. 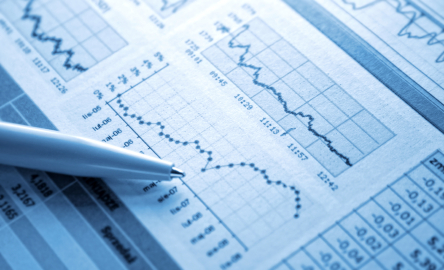 There are many good economic reasons to consider selling your interests to us. For a further discussion of these please go to Selling your Oil, Gas or Mineral Interests: An Investor’s Guide. However, there are additional factors that are unique to caregivers, guardians, and estate planners. which you should consider. These include qualification for government benefits, and facilitating the transfer of assets. At least several times a month, we receive a desperate and exasperated call from a son or daughter concerning their parent’s oil and gas interests. To qualify their parent for some type of state or federal service, they must decide what to do with their producing oil and gas interests. Whether they seek Medicaid or some other type of government benefit, the problems presented are the same. Federal and state agents have no training in oil and gas valuations. Royalty income as little as fifty cents a month from a producing oil and gas interest, may elicit unrealistic expectations from a government employee. With little or no experience or any reference to guide them, the administrator simply denies the claim for benefits based upon an applicant’s ownership of an income source that is not understood or difficult to evaluate. When a family member or custodian contacts us, they have usually sought the help from one or more of the companies the applicant is being paid by. The policy of most oil companies dictates that they are neither able to give a valuation or appraisal, nor offer to acquire the interest themselves. It would be an obvious conflict of interest for them to do so. The best course of action depends upon the aid administrator’s interpretation. If a sale is absolutely required, then short of an administrative hearing and review, there is little else to be done. Time is usually the enemy here, where an elderly or ill person might face eviction or termination from services if the small royalty properties are not immediately sold. Unfortunately, selling a non-liquid asset such as a small fractional interest in Kansas for example, might pose a problem – particularly where time is of the essence. Although hesitant to do so, many of the major oil and gas companies will provide a list of royalty buyers for a region of the country. As with anything, there are good honest companies that have been around for a considerable time. They are concerned about their reputation and their relationship with the oil and gas companies who refer them. On the other hand, there are brokers who are simply compiling small interests into larger packages which they can sell to an investor group (which may be in another country) for a hefty profit. 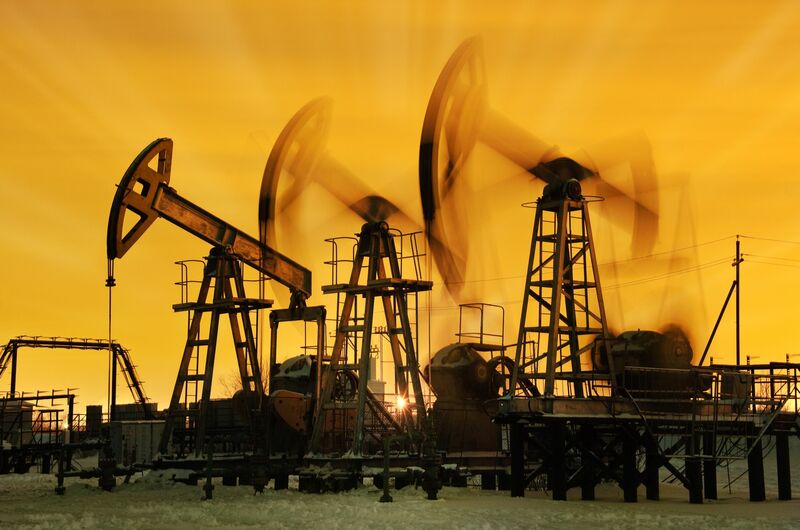 When we at Russell T. Rudy Energy, LLC acquire an interest, we make certain that all of the paperwork is done appropriately, from the preparation and recording of deeds to the notification of all oil and gas purchasers, operators and tax appraisal districts. We do not broker or resell the interests, but rather accumulate them into our company and manage them. We have been in the business for over twenty-five years and would be pleased to make an offer to acquire any type of oil, gas or mineral interest, for any amount, in any state in the country. If an interest is so small that our cost of acquisition would be beyond its value, we can still suggest ways to liquidate the interest quickly. In fact, we recently had a call from a legal custodian needing to liquidate a small interest in Montana and wondering if we would consider acquiring it in a hurry. The individual owner involved was an 89 year old man with advanced Alzheimer’s in a private nursing home in Ohio. He was about to lose his benefits and face possible eviction unless he liquidated all of his assets including a small royalty interest in a very old well in Montana. We explained that whether the interests were producing Texas overrides, non-producing Oklahoma minerals, California Production Payments, Kansas royalties or practically any type, kind or size of oil and gas interests, we were able to make a quick and fair offer and take the full responsibility for all aspects of the transfer of interests. As compared to an outright sale, this alternative is far more problematic. As previously discussed, the oil and gas purchasing companies are usually prohibited by company policy from quoting a value for an interest. In most instances, it would merely be an opinion of the particular employee and not necessarily representative of its actual value. To obtain a legitimate appraisal for a producing oil and gas interest, it must be done by an independent petroleum engineer who is not also potentially engaged in acquiring the interest for himself. Unfortunately, the minimum cost of an independent appraisal will be in the range of several thousand dollars. Of course, this is completely out of the question for small or marginal interests, and should only be used for more substantial properties. However, if you contact Russell T. Rudy Energy, LLC, and tell us that you are being required to provide some type of appraisal in order to qualify for State or Federal benefits, we will be happy to write a brief non-binding letter. We will state what we believe the fair market value to be, based upon what we would likely offer to pay if we were to buy it. This has often satisfied agency requirements so that the individuals can keep the small income stream and not lose their benefits. However, this may not be a wise long term alternative as discussed below. In situations where someone is at an advanced age, or death is imminent, there is clearly only one logical disposition of the small oil and gas asset. Many states require full probate when any “real property”, including royalty and minerals, is owned in that state. This is true, even if the estate went through full probate in the decedent’s state of residence. In that instance, “ancillary probate” will likely be required where the oil and gas properties are located. Often this results in costs that are vastly disproportionate to the value of the oil and gas interest itself. Some states, such as California, have a “small estate” alternative. However, even this option requires hiring two court sanctioned appraisers and a local lawyer to handle the submission of inventory and appraisal. Many small estates find themselves in perpetual limbo; not enough money to undertake ancillary probate in another state, yet they cannot fully close the estate without liquidating these interests. If you find yourself in this situation, there may be options available to you and we would be happy to discuss them. As with any decision regarding the disposition of an asset, you should carefully weigh the long and short term benefits of retaining your interest versus those of converting it into cash. When an elderly or infirm individual is involved, there is the additional consideration of time and additional probate expenses. If selling a small producing interest makes sense in your case, please contact us for a prompt offer. I can’t say ‘thank-you’ enough for all you have done, for all your time and effort on my behalf. John, you and Russ were so helpful and clear. You really assisted us with your knowledge and kind advice. We really appreciate it. Thank you so much for your part in cutting the law firm’s invoice down to a workable number…you and Russell Rudy are Remarkable in today’s market. Thank you for all your efforts to negotiate a successful deal between us…It was a blessing and a tremendous help. John, thank you for all the assistance in the matter. Best wishes. Thank you and John for everything…your company is great…so professional, helpful at every turn and so patient!! Thank you for treating me fairly in this process. My family thanks you. John, I received the copy of the filing papers for the oil leases. Thanks for all of your help. Thank you for working with us on this. You have helped us smooth out a very complicated issue for our client. 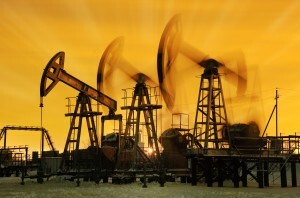 The United States is the world’s third largest crude oil producer. Only Saudi Arabia and Russia produce more. Over 42% of U.S. crude and products imports are from Canada. Saudi Arabia is a distant second with less than half that much at 17%. Almost 76% of France’s electricity is generated by nuclear facilities, as opposed to slightly more than 19% in the United States. There are more than 10 million natural gas powered vehicles in the world, but only about 1% of them are in the United States. The top sixteen oil companies in the world based on reserves are all foreign and state owned. ExxonMobil is #17, BP #19, Chevron, Shell and ConocoPhillips are #’s 21-23. The United States is the world’s second largest natural gas producer. Only Russia produces more. However, we are also the world’s fourth largest natural gas importer (behind Japan, Italy and Germany). The United States is second only to China in coal production, and the fourth largest exporter (behind Indonesia, Australia, and Russia. Hydraulic fracturing (fracking) technology has been successfully used since the 1940’s. In spite of the shale gas boom, in 2011 the U.S. still imported about 8% of its natural gas consumption. The vast majority of these imports were via pipeline from Canada and Mexico. In 2011 world-wide oil production was approximately 87 million barrels per day, 17 million (about 20%) of which passed through the Straits of Hormuz. Fortunately, most of this was destined for markets other than the U.S.